As her head collided with a teammate’s at swim practice, junior Alexandra Gehrs’s vision went black. She had been cruising through the lane and was nearing the end of her set when she hit what she had thought was the wall. She began to feel dizzy and hopped out of the pool for a rest. After getting a drink of water, Gehrs proceeded to swim another 400 meters until she could no longer ignore the feeling of sharp pain growing in her head. She decided to go home with no idea her progressing headache was a symptom of a mild concussion. Gehrs said she was diagnosed with a concussion the following day and then began Glenbrook North’s return to play protocol. On Sept. 4, the Centers for Disease Control and Prevention, also known as the CDC, published 19 sets of clinicalrecommendations fortreatingmild traumatic brain injuries, referredto asconcussions.The recommendations are thefirstevidence-based guidelinesfor treating pediatric concussions in the United States and address the frequency of brain scans, risk factors and recovery time. One of the recommendations states patients diagnosed with a concussion should begin non-sports related activities after no more than two to three days of rest. Kelly Sarmiento MPH, public health advisor in the division of unintentional injury prevention’s traumatic brain injury team at the CDC’s injury center, said in an email exchange there used to be a concern about children returning to activities too soon. “Researchers now know that starting light activities soon after a concussion can help with recovery,” Sarmiento said. 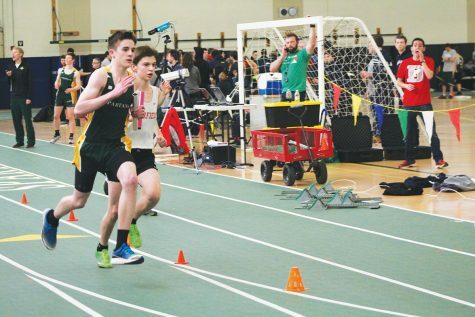 According to head athletic trainer Tom O’Connell, when the CDC’s new recommendations were published, he had already been practicing them for a year or two as GBN sends the trainers to concussion conferences with neurologists and neuropsychologists throughout the year. 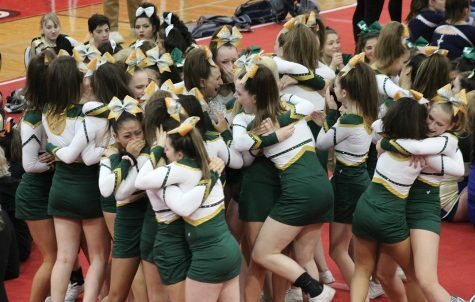 Senior Lindsey Winer said when she was diagnosed with a concussion after aflyer fell on her during cheerleading, her doctor told her to begin schoolwork right away. “In the beginning, all the talking and looking up and down [during school was difficult], but doing homework was okay because I could take breaks,” Winer said. According to Sarmiento, each athlete’s recovery process is customized as each concussion and child is unique. Gehrs said she was out of school for a week following her diagnosis. 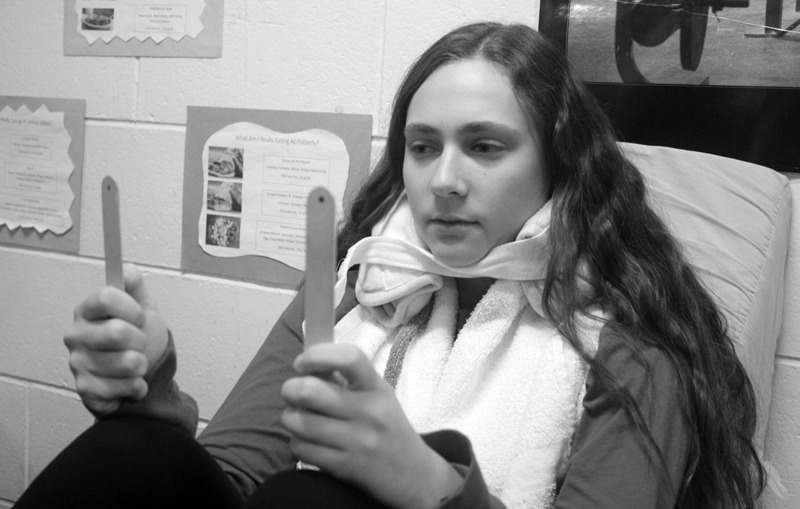 Upon returning to school, she took the impact test, a neurocognitive evaluation to analyze symptoms every day. Gehrs said she thought her season was going to be over after her injury. Sarmiento said the CDC followed a rigorous process to develop the new guidelines in hopes of helping high school athletes who have suffered a concussion recover to lead healthy and active lifestyles. According to O’Connell, athletes with concussions take the impact test in order to see when they are ready to return to play. He added that athletes are not always honest about their symptoms as they get anxious to get back to play when they are missing their seasons. O’Connell said he understands athletes’ mentality of wanting to return to play after an injury, but he hopes they understand they only get one brain. “You can try to play through a muscle injury sometimes, or even a joint injury, but it is not wise to play through a brain injury, especially because we don’t know what concussions are doing long-term to your brain,” O’Connell said.